Shifter Lily Mason and her pit bull Smooshie are once again on the trail of a murderer and this time close to home! Sometimes, trying to be part of the human world can be a real killer. . . Cougar-shifter Lily Mason is ready to put down roots in the human town of Moonrise, Missouri. 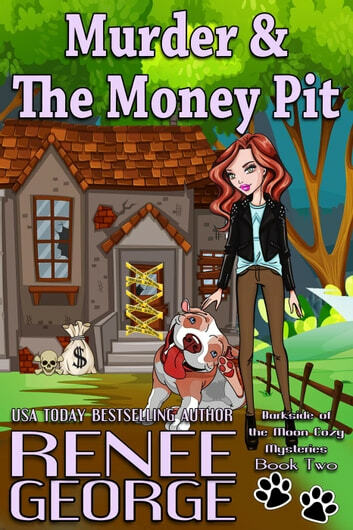 She only has two problems: her attraction and proximity to Parker Knowles, her boss at the Pit Bull Rescue Shelter, and her need to shift into animal form more than once a month. When she gets the opportunity to buy a "fixer-upper" outside of Moonrise with plenty of room to get wild without running into easily freaked-out humans, Lily jumps at the chance. Smooshie, Lily's lovable pit bull and partner in chaos, is eager to participate with the home improvements. Unfortunately, Smooshie's help includes digging out a mummified body from the living room wall. Lily is still recovering from the last murder investigation she got involved in–and she's not looking forward to being in the middle of another one. The case gets even stickier when Lily's landlord is murdered, rumors of a heist gone wrong run rampant, and Parker's old high school buddies have returned to Moonrise, thus increasing the suspect pool. Lily's attempts to become a bona fide citizen of Moonrise might well be thwarted by this newest complication–especially when the murderer sets sights on her.